Caught your partner cheating; what do you do now? Do you get a divorce from your partner for crossing the engraved boundary of trust? Do you break up for with your partner for committing the ultimate act of betrayal? What exactly is the “right” thing to do when your partner is caught cheating or having an affair? Well, that all depends on two things: you and your partner. Truly. Nothing else should factor into the decision you make with regard to your future as a couple. Let’s start with you. Your first step is to ask yourself a couple of questions. First, ask yourself if you honestly love your partner. Now, immediately after finding out about the cheating episode, you will likely despise every inch of him. In fact, thinking about love is likely the furthest thing from your mind. But after the initial storm of anger, I want you to assess your level of love. The love I am talking about is the love you felt prior to the cheating episode. If there is a detectable level of love, here is the second question to answer: Is this the first and only time he has cheated on you? This is an important question because there are two types of cheating we need to discuss: serial cheating and singular cheating. Neither is acceptable behavior, but not every cheating episode must end in divorce. In fact, many couples not only survive after infidelity but also recover from the affair as a stronger and more committed couple. What is serial cheating versus singular cheating? A serial cheater is someone who has cheated on you more than one time, with more than one woman. You are never going to crack the code of a serial cheater. This type of man is so insecure that successive betrayal of his partner gives him a feeling of self-worth. Another cheating conquest somehow makes him feel like a worthy and wanted man. Women who are cheated on by a serial cheater must be very cautious about staying with a serial cheater because the likelihood of future change in his behavior is very slim. However, there is another type of cheater we need to discuss. It’s the cheater who cheated one time. It could be a one-night stand, but most likely, the cheat is with one woman over a period of time. I do not consider this type of cheating to be serial cheating. I do not condone any type of cheating, but we cannot bury our heads in the sand and think all cheating must result in a divorce or breakup. I do not believe in the adage “Once a cheater, always a cheater.” My interviews and research have shown this not to be true. Many of the men I interviewed admitted that they had previously cheated a single time on their partner. I thought it important to ask about why they cheated and the individual circumstances of the cheat. In most of these cases, they loved their partners. Lack of intimacy at home, as well as unreciprocated love, played a common role in the betrayal. In other cases, certain men made a one-time decision to cross a line of trust in the marriage. I ask you to be extremely cautious about leaving the relationship of the one-time cheater. If his one-event cheating is not something you can forgive or live with, that is understandable, and you have to do what is right for you. However, do not listen to your friends. Do not listen to your coworkers. Do not listen to your family. Listen to your heart, and give your relationship the chance to possibly heal and work through his transgression. If it was a one-event cheating instance, and both parties want to save the relationship, it certainly is worth fighting for. If you are trying to work through a cheating event and you both want your relationship to survive and heal, learning to let go is important. I am not suggesting you wave a wand and erase the hurt and anger from your brain. We are not robots, and of course, feelings of hurt and betrayal are raw and real and must be acknowledged. Take the time you need. If you want to remain together, forgiveness must occur. It won’t happen overnight, and it will take a serious effort from both partners to put it in the past and make the necessary changes to grow as a couple. Why must you move past the cheat in order to save your relationship? Based on my interviews, the men who did have a previous one-time cheat said the lack of letting the event remain in the past is what ultimately ended the relationship for good. Again, only you can determine if the cheating is something you can forgive and ultimately put in the past. 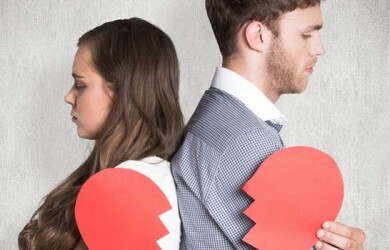 If after the infidelity you would like to save your relationship and move forward, it is crucial you give him the opportunity to prove his devotion to you and regain your trust. The door with “the event” in it is behind you, shut and locked. If both parties are committed to rebuilding the partnership, the focus needs only be on the open door in front of you with your budding future of trust and love rebuilding itself.